The City of Wanneroo has previously provided two immunisation services: Child Immunisation Clinics for ages 0-5 and a Secondary School Immunisation service for Years 7, 8 and 10 students. As the Department of Health offer the same services at several locations, Council resolved to stop offering these services on 31 November 2018. 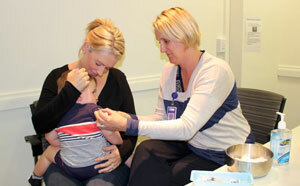 This is aligned with how immunisation is provided throughout most other local authorities. Both of these services are still available to City of Wanneroo residents and there are no changes to the level of service being provided. Child Immunisation Clinics – Although the Wanneroo clinic no longer operates, there are five other Child Immunisation Clinics you can attend at Banksia Grove, Girrawheen, Carramar, Merriwa and Yanchep. Secondary School Immunisation Service – This service will still be provided in schools. However, from 2020 the Department of Health will offer the service to align with the majority of schools in Western Australia.